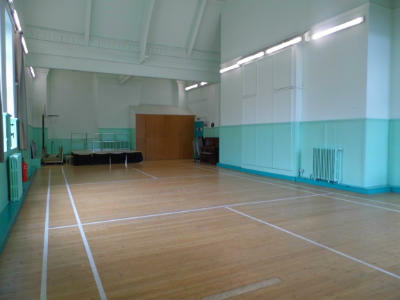 The Upper Hall is upstairs and offers a large space with a sprung wooden floor (with badminton court marked out). There is staging which can be either extended or removed, on request. Double electrical points are positioned regularly around the hall for PA system, music etc. The hall has some 40 stacked chairs; if more are required these can be moved from other parts of the building, along with foldable tables.